Almine Rech Gallery is pleased to announce the representation of Farah Atassi. Her first exhibition with the gallery will take place in June 2019 in New York. 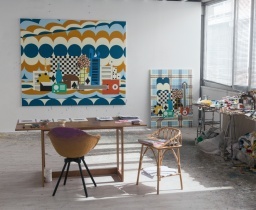 Paintings by Farah Atassi will be presented at Frieze London (booth A09) and FIAC Paris (booth 0.A20). Farah Atassi (b.1981 in Brussels to Syrian parents) lives and works in Paris. She graduated from the Ecole Nationale Supérieure des Beaux-Arts de Paris. In 2013, she was artist in residence at the International Studio & Curatorial Program (ISCP), New York and was nominated for the Prix Marcel Duchamp and received the Jean-François Prat Prize in 2012. 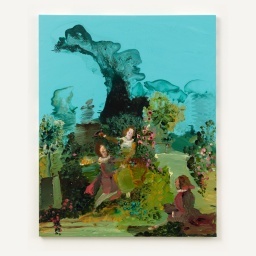 Almine Rech Gallery is pleased to announce the acquisition of a painting by Genieve Figgis by the Arts Council of Ireland. 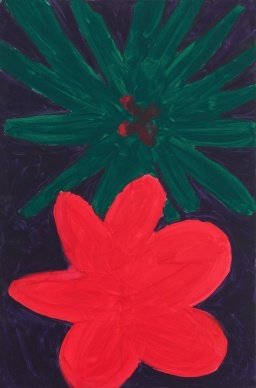 This work will be added to the almost 1,100 works of modern and contemporary Irish art in the Collection and mark the latest additions to the Council’s long history of purchasing excellent and ambitious works of art that reflects the practise of artists working in Ireland today. Comprising works across painting, sculpture, photography, video and multimedia installations the new purchases are drawn from across the spectrum of contemporary visual arts practice and will be accessible to public audiences throughout the country as part of the Arts Council Collection’s ongoing programme of exhibitions, loans and projects. 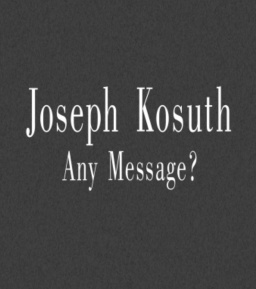 Almine Rech Gallery looks forward to welcoming you at Booth C24 with a solo presentation by Joseph Kosuth. The work titled Nineteen Eighty-Four (Orwell) (2018) is made up of body of different colored neon works that read Any Message?. In this new series of work, Kosuth appropriates this text from George Orwell’s futuristic novel 1984, a story which gives a tragic illustration of what the world would be without the freedom to think. 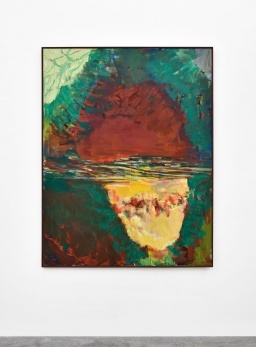 Benedikt Ledebur will present the first and recent monographic publication on Georgian painter Tamuna Sirbiladze (1971 Tbilisi–2016 Vienna). This gathering will revisit the practice of Sirbiladze and include her video work – a selection of which will be screened for the occasion. 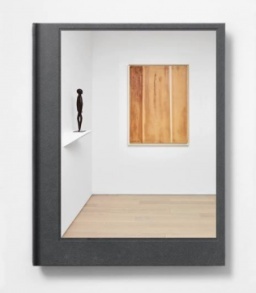 On the occasion of Art Brussels 2018, Almine Rech Gallery is pleased to present the new publication ‘Imaginary Ancestors’, an important catalog published by the gallery in conjunction with the exhibition held in New York from May 2 to June 15, 2017. ‘Imaginary Ancestors’ was a group exhibition organized with Carlo Severi and Bernard de Grunne. The exhibition looked at Primitivism in modern and contemporary art, on the one hand restaging a seminal 1933 Durand-Ruel Gallery exhibition in New York of Fang sculptures and contemporary paintings of the time, and on the other hand presenting a parallel exhibition of Primitivist modern and affiliated contemporary works by Joe Bradley, Mark Grotjahn, Matthew Lutz-Kinoy, Ana Mendieta, James Turrell and Erika Verzutti, among others. 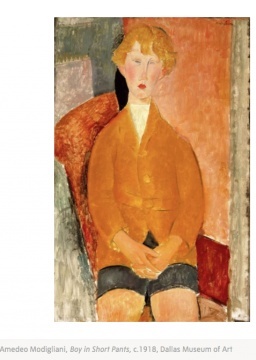 In the 100 years since Modigliani died, art has moved from margin to centre, with all the losses and gains that this entails. For this event, artist Francesco Vezzoli and Cristiana Perrella, newly appointed director of Centro Pecci, Italy will consider how the artist’s role has changed accordingly. Expanded Portrait Compositions will be the first major exhibition by American artist George Condo in Hong Kong. Showcasing a brand-new body of paintings and works on paper that have been created by Condo specifically for the Maritime Museum in Hong Kong, the exhibition will be on view for two weeks only, from March 27 through April 6, 2018. 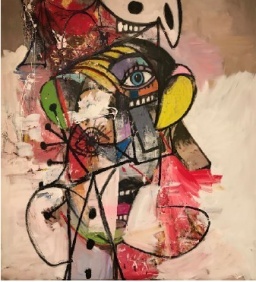 George Condo, Laughing and Screaming, 2018, acrylic, metallic paint, pigment stick, charcoal and pastel on linen, 80 x 74 inches, 203 x 188 cm © George Condo / ARS (Artists Rights Society), New York, 2018. Brian Calvin's Così fan tutte coincides with the Met Opera’s much anticipated new production of Mozart’s comedy, onstage from March 15. 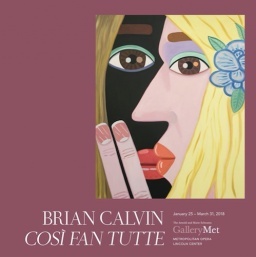 Brian Calvin's Così fan tutte, free to the public, runs through March 31, 2018. "Rather than illustrating scenes from the plot of Così fan tutte, I lingered on the organizing principle of duets in Mozart’s opera, exploring harmony and dissonance through repetition and difference,” Brian Calvin said. “The overlapping figures interlock into a unified expression of complicity, ‘putting their heads together’,” said the artist. Calvin is particularly known for his large-scale, highly stylized portraits, characterized by light-soaked palettes and flattened planes of color, retaining a life-like quality. 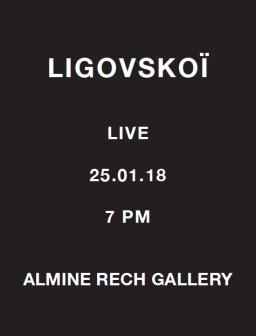 Ligovskoï is a Paris-based electronic music project working across both visual and sonic media, founded in 2010 by Nikolaï Azonov and Valerio Selig. Inspired by the concept of infinite music, minimal composers and abstract painting, they oscillate between ambient, drone and experimental. They create touching and cinematographic atmospheres using both acoustic and digital tools such as synthesizers, voices, field recordings and sampling. Their collaboration with Parisian label Dement3d has been materialized in 2014 with «Dilip», an 8-track double EP and «Mana» in 2016, a 9-track double EP. On stage, Ligovskoï’s performances invite the audience to a contemplating experience of deep recollection, both profound and hypnotic. Their synesthetic performance in the framework of ‘Hors Saison’ exhibition will be inspired by Jean-Baptiste Bernadet’s paintings.